The Honoré Growers Guild is a network of farmers, millers, bakers, and churches that grow, mill, bake, and serve communion bread made with flour from ancient strains of wheat. The Guild is restoring local interdependent relationships that existed for thousands of years; each member plays a vital part in providing life-giving bread. At a national level, Honoré provides education, aggregates sustainability data, and actively contributes to local, sustainable grain economies. 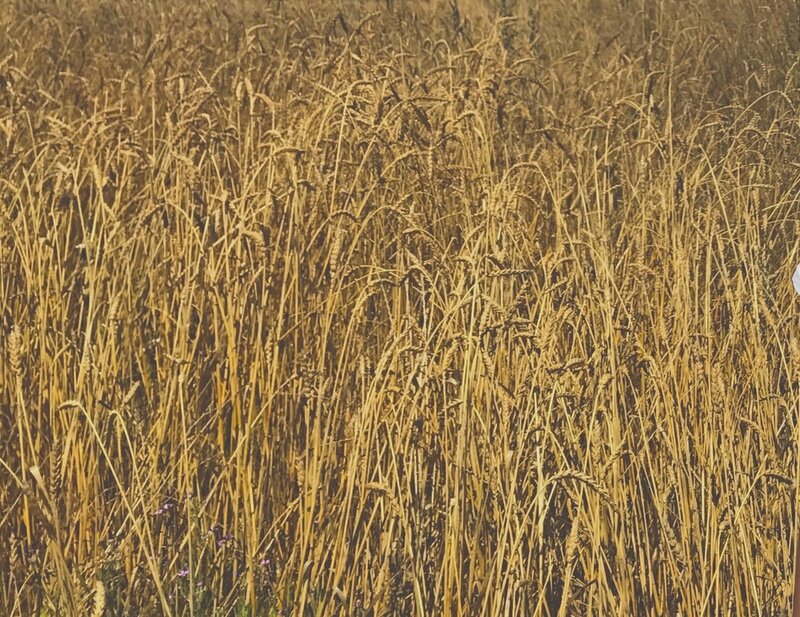 We envision the Guild as a national network of regional grain economies (farmer, miller, baker, and church), enabling every altar to sustainably and intentionally source their communion bread or wafers. In the past year, the Honoré Growers Guild expanded geographically beyond our home Diocese of California to include four new dioceses: Texas, Kentucky, and Eastern and Western Michigan. As the Guild grows, our connections with each other are strengthened and our impact is greater. For the past four years we have focused on building connections within the Episcopal community, however, this year we have expanded to all churches and organizations. We warmly welcome and encourage anyone interested in joining the Guild to sign up for a flour or wafer share or come to our conference. Honoré Growers Guild farmers grow heirloom, ancient grain wheat using low-till, non-invasive farming practices that have been shown to draw down CO² from the atmosphere and sequester it in the soil. * The map below shows how much CO² each Episcopal diocese could draw down each year if every church in that diocese served Communion bread made with Honoré’s practices. If every Episcopal Church in the United States joined the Growers Guild—to create and serve locally and lovingly produced communion bread—we have the potential to draw down 95 million pounds of CO² from the atmosphere annually. This is in alignment with the National Episcopal Church’s goal to address climate change. Join us in this timely and important work by participating in our flour or communion wafer share and by attending our first annual conference to learn how to bring the Honoré Growers Guild to life in your community. Honoré wheat is about more than just taste. Our farm practices express our values in action with the intention to care for the soil, water, and all relationships in the ecosystem. Our Growers Guild farmers grow heirloom, ancient grain wheat using low-till, non-invasive farming practices that decrease water usage, improve soil health, and draw CO² from the atmosphere and sequester it in the ground. These practices are healing both for the Earth and for our relationship with it. Farming with ecological practices makes our work of growing food an act of Land Stewardship. Compare the impact of Honoré flour and communion wafers with the impact of conventional flour and wafers below. When your church joins our flour or wafer share, freshly stone milled flour—or wafers made with our flour—will be delivered directly to your church four times a year. Your church will become part of a larger movement to restore the vitality of Creation to communion bread and wafers. This flour is like nothing you’ve tasted: it’s slightly sweet, nutty, nutritious, and easily digestible—some people with gluten sensitivity (though not celiac) find they can once again enjoy bread. With each delivery, we include a seasonal meditation submitted by our members. Annually, heirloom wheat seeds are distributed to our member churches to bless on their altars. The seeds are then returned to the earth to be planted for next year’s community harvest. Growers Guild wheat is planted and harvested in community: we celebrate the ancient ritual of planting and harvest days that reconnect people with the land and with each other. In England, harvest days like ours are also called Lammas Day, which literally means "loaf-mass." Lammas comes from the ancient Celtic festival which marked the first harvest. Ceremonially the first sheaf of wheat was threshed, milled and baked into bread. The bread was offered to Ceres, the goddess of agriculture, in recognition for the land providing their food. Later, Christians saw the wisdom of giving thanks for food that comes from God's earth and adopted this practice, giving thanks to God for the "first fruits" of the field. We share bread baked from the harvest, feeling the energy of the sun in our mouths, knowing every hand that touched the seeds and milled the flour. First Voyage: The Mobile Mill travelled to Austin! The Honoré Mobile Mill took a 3500 mile round trip journey to demonstrate stone milling at the 2018 Episcopal General Convention in Austin in July 2018. We are proud to have helped source the communion bread being used at this summer’s General Convention. The wheat was grown in Texas, stone-milled just outside of Austin, and baked steps away from the Austin Convention Center. The recipe used is Honoré’s honey whole wheat communion bread. 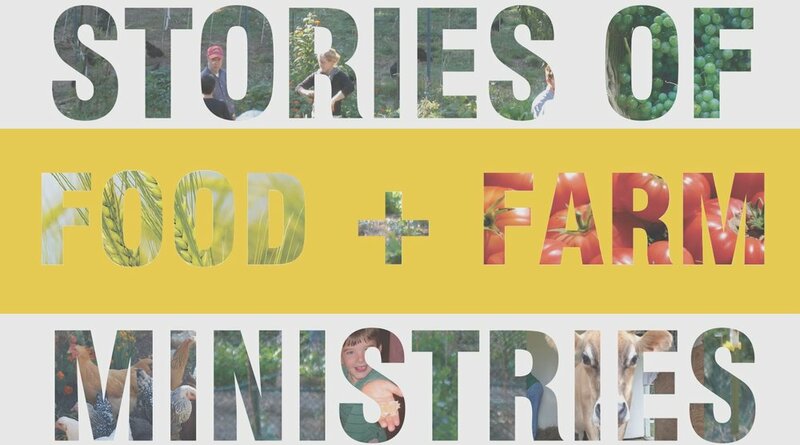 Interested in the relationship between food, farming and faith? Check out this publication by our founder and Agricultural Chaplain, Elizabeth.